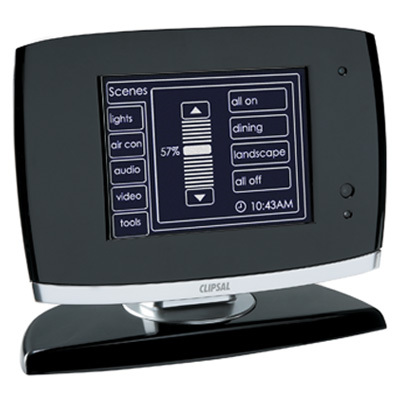 The C-Bus B&W MkII Desktop Touch screens provides a desktop console, touch sensitive LCD screen that can display pages of graphical items, such as buttons, sliders and images that can perform C-Bus related functions when pressed. It also includes a real time clock for automatic scheduling of events with the option for the C-Bus Logic Engine and RS232 port for third party device integration. Smart Home Custom Products Installation Service - Pack A (8o+2t) required for physical installation (not including electrical & C-Bus cabling) see related products area to select.